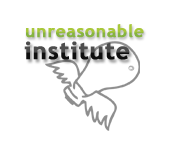 On an otherwise reasonable evening in July, over 600 people packed an auditorium in Boulder, Colorado, for the culmination of the 2015 Unreasonable Institute. They came to watch 12 ventures take the stage and present their solutions to some of the world’s greatest challenges. The entrepreneur in this video is Pradeep Bhatt of GetUpForChange. Get involved with the Unreasonable Institute: Programs for Ventures, Become a Mentor, Become a Capital Partner, Corporate and Institutional Engagement. What urgent need do you address? Corruption is a big problem in India. According to Transparency International, 62% of Indians are forced to pay bribes. Every visit to a government office has the potential to lead to demands of bribe—even with basic services such as issuing drivers licenses or passports. This is a denial of the basic rights of citizens, and it’s against democracy. Every citizen has the right to know how the government is functioning without subjection to harassment or delay. Get Up For Change exists to reduce corruption and improve delivery of government services in India. What solution do you propose? GetUpForChange empowers Indian citizens to hold their government accountable under the Right to Information Act (RTI)—similar to the Freedom of Information Act in the US. Under this act, every government department has to respond to requests for information from citizens. If they don’t, they get penalized. However, navigating RTI is difficult. We created an online service where we work through established legal channels to act as a liaison between citizens and government entities by leveraging RTI. It takes just 10 minutes to apply on our website or mobile app in a process that’s as simple as a Facebook post. Then, for $3 per request, our lawyers take up the case with the government. In the last year, we received more than 24,000 requests, from income tax returns to broken streetlights, exposing a wide array of corruption. Over the next two years, we plan to solve over 1 million requests and make India a better democracy. The Unreasonable Institute arms entrepreneurs creating solutions to the world’s biggest social and environmental problems with the mentorship, capital, and networks they need to do so.